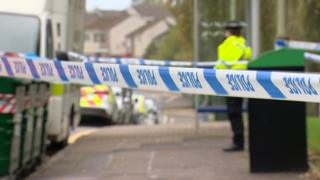 A 44-year-old man has been arrested over the death of a man near Dundee. Police Scotland said the man died in an incident in Nursery Road, Broughty Ferry, on Friday night. A large police presence was reported in the area from about 21:00 on Friday with a block of flats sealed off. An investigation is under way and a report will be sent to the procurator fiscal.